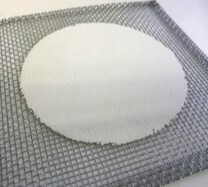 The Ministry of Education has advised that two types of ceramic Bunsen Burner gauze mats recently analysed have been found to contain Tremolite asbestos, a rare form of asbestos. The asbestos is considered to be low risk. The gauze mat is a bonded product, similar to asbestos sheeting in houses. The Ministry of Health has advised that the risk to students and staff who have been using these mats is likely to be very low, provided the mats are in good condition (i.e. not broken or showing signs of deterioration – cracking, powdering etc.). As the health and safety of students and staff is paramount, the Ministry of Education are working with the appropriate agencies to identify all suppliers and schools with the product. The product will be recalled and the Trading Standards (a business unit within MBIE) will be working with known suppliers to ensure the recall process is effective and appropriate. If these items are present within the University, they are to be disposed of as asbestos waste. For more information, contact the Health and Safety team.